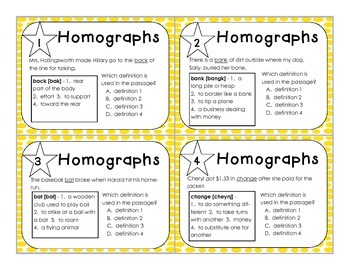 Task cards are a fun way for students to review skills they have already learned. 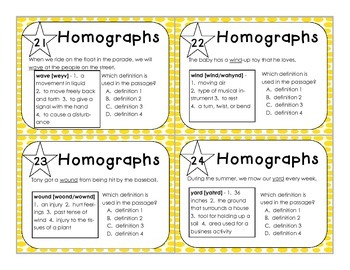 Simply cut out the cards, laminate them, and store them in a baggie for continued use. 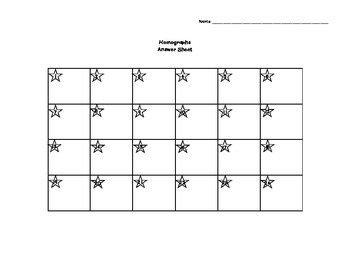 Teachers can use the cards in centers, in a game they have created, or the cards can be used to play “Scoot”. 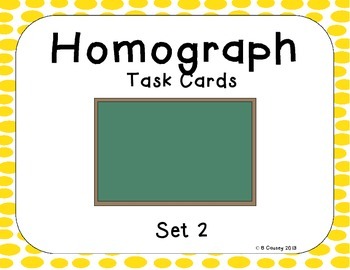 This new set includes 24 new homographs!